The major pentatonic sounds happier and are not used as extensively in rock and blues as the minor version of the scale. They sound good over major chords and power chords. Sometimes the minor and major scales are used in the same song, with the major scale used for the chorus, and the minor for the verse. There are no hard and fast rules when it comes to scales and soloing. Its a matter of style and personal choice, as long as it sounds good, go for it. But you will find that if you use these simple scale forms in conjunction with an appropriate chord progression this will sound good more often. A chord progression based on the A minor chord will sound good with A minor pentatonic and a C major chord will sound good with C major scale. Minor pentatonic scales are used extensively in modern and classic rock. A strong understanding of how pentatonic scales work and can be used for soloing and creating riffs is extremely important. They are also the easiest and generally the first scales most people learn. I assume you know how to read basic TAB format for this lesson. If you have not been exposed to TAB then you should review our lesson on reading guitar TAB before moving on. The Minor Pentatonic scale consists of the following intervals: 1 b3 4 5 b7 1. In the key of A, the intervals would be the notes of A C D E G A. There are 5 scale shapes in box patterns for the pentatonic scales. The 5 is the fifth fret and is the root note, thus the name of the key and scale is A, the intervals determine the type Minor or Major. This scale shape above is the most scale and is used in rock, blues and most styles of music. If you move this entire shape up to positions on the guitar and play the same shape you will have a B minor pentatonic. Likewise, if you slide the entire shape down two potions you have a G minor pentatonic. Practice this scale shape several times a day, moving it into different positions or keys, for variety. Many of rocks most famous licks are derived from this shape. If you are going to play guitar learning this one basic shape is mandatory. With the growing interest in Jazz and other forms of music, I find more and more people asking about chord symbols and chord construction. While there are many books out there on the market, there is very little explanation of how chords symbols are interpreted. I’d like to share some of my insight with all you music enthusiasts. In many song sheets, chords are given for guitar or keyboard players. Functional names are not used for this purpose. Instead, the root and quality of the chord are given in what may be termed lead-sheet notation (for example, Amaj and F#dim7). The alphabetical name of a chord. i.e. A, Bb, G F# etc. Indicating either Major, minor, dominant, augmented or diminished. MAJOR indicated by GMaj., GMa, GM or just G (Note: the capital “M” is used to designate Major chords.) Major chords are sometimes written without chord type designation. Symbols are also used to designate Major chords i.e.,. 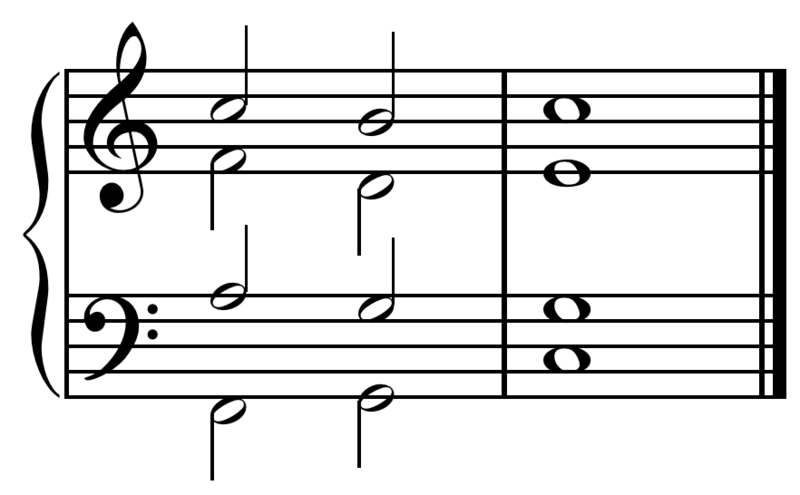 Minor Indicated by Gmin., Gmi, Gm or G- (NOTE: The lower case “m” is used to designate minor chords). Dominant 7 Indicated with only the root and extension numbers. Since some major chords and all dominant 7 chords can be written without chord type designations, the following will help you to distinguish between a major chord and a dominant chord: If the FIRST extension number following the root or letter name of the chord is 7 or greater, and it does not specifically state major or minor then it is a dominant chord. EXAMPLE: C7b5, C13, C9, and C7sus4 are all dominant chords, but Cm11 is a minor chord and CMaj.9 is a major chord. If the FIRST extension number following the root or letter name of the chord is 6 or under, it is a major chord.